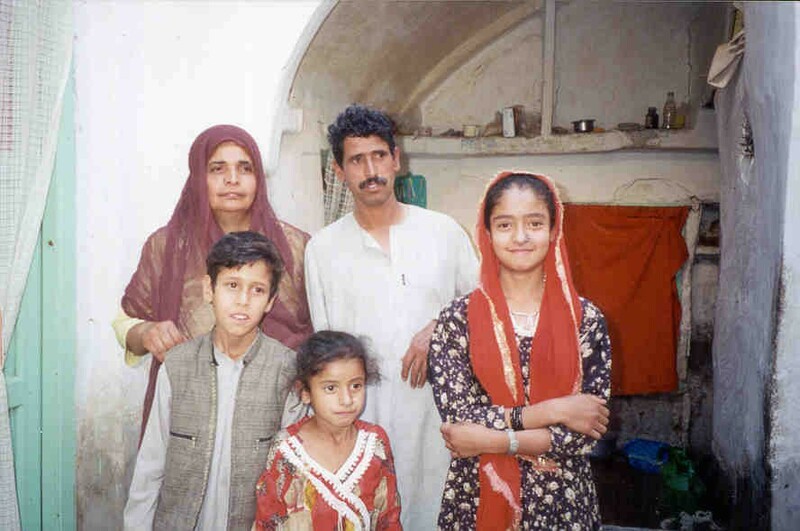 KANDAHAR, 17 Jun 2002 (IRIN) – For 15 year-old Ruby the prospect of being able to visit her homeland after the Afghan airline, Ariana, recently resumed flights to the Indian capital, Delhi, was something she had only dreamt about. “I used to ask my father when we would visit India, because I want to see my relatives,” she said. Born in the Afghan capital, Kabul, her family are of Hindu origin, and moved to the southern city of Kandahar some 10 years ago, but she was unsure of when her ancestors first moved from India to settle in Afghanistan. The first presence of Hindus and Sikhs in the Central Asian country is said to be roughly 200 years ago. Of the estimated 50,000 Hindus and Sikhs living in Afghanistan 10 years ago, most have left. Only about 1,000 Sikhs remain in the country today, half of them concentrated in Jalalabad, the provincial and commercial capital of the eastern Nangarhar Province. “There are four or five Hindu families and about 15 Sikh families in Kandahar city, and a further 15 to 20 families in Helmand Province, Daulat Ram told IRIN. He had been a photographer before the Taliban came and banned photography. “I have been working as a labourer for the past six years,” he said, adding that he was hoping to resume his former trade. Hindus and Sikhs in the southern region and elsewhere in Afghanistan are now hoping for a more peaceful life. They suffered most during the time of the mujahedin between 1991 and 1994, the period during most of them left the country, an aid worker told IRIN. Sikhs left Afghanistan en masse, along with thousands of Hindus, after Hindu extremists destroyed the Babri Mosque in Ayodhya, in India, in December 1992, in fear of threats from radical Muslims following large-scale looting of Hindu and Sikh temples all over Afghanistan. Their properties were looted, they were tortured and treated inhumanely, particularly in Kabul, with women reportedly raped, he said. Under the Taliban, Indians were marginalised and were not allowed to have any major stake in local economies as they had previously done. The Hindus and Sikhs, with their typical business acumen, had established factories in Kabul and operated a healthy exporting business, trading in Afghan goods such as dried fruit, textiles and precious stones. With the coming to power of the Taliban, however, they had had to resort to operating small shops selling food and textiles. Their social status prior to the 1990s had also enabled them to be a part of the military and civil services, and some even took up high positions in banking. With the fall of the Taliban, the Indian community in the battered country is hoping to prosper once again and to rehabilitate the local economies. For generations, Hindus, Sikhs and Jews lived in harmony with Muslim Afghans. Their rights were respected, and they regarded themselves to be Afghans much as the Hazaras, Pashtuns, Tajiks or Uzbeks born and raised in the country did. Born in the back streets of Kandahar, Daulat Ram told IRIN he had a dream of reopening his business one day soon. Still able to speak his native language, Hindi, taught him by his parents, the father of three girls said one of his main concerns now was whether he would be able to marry off his daughters while living in such a small community of Indians. “This is a big worry for me and I don’t know what to do. Maybe I will have to send them to India,” he said. With his house located opposite the local Hindu temple, known as a mandir, Ram’s family visit the holy shrine every day. The building is tucked away from the main streets and looked after by an old woman who has lived there for the past 20 years. “The Taliban used to harass me and tell me that I’m not allowed to stay here and work,” Naemu said, recalling her past troubles. However, she said that times had changed. “Not many people would visit the mandir when the Taliban were here, because they were scared. But now more and more people are coming,” she added. She also told of how formerly it had been necessary to hide the temple’s pictures of Hindu deities to avert their destruction by the Taliban. She conceded that although the Taliban had allowed her community to practise their faith behind closed doors, she was relieved they had gone. However, she remained unsure of what kind of attitude the new administration would assume towards the Hindus. “We don’t bother anybody, we did not mix with the Afghans, because they are Muslims, and [in any case] the Taliban did not allow this,” she explained. She did not know whether, now that the new administration was in place, the two communities would resume visiting each other’s homes. However, there is some hope of improved relations inasmuch as the Interim Authority has planned to include seven Hindu representatives in the Loya Jirga. Further along the same street down a winding alley stood a Sikh temple. Once again, although as in the case of the mandir, the site of the building was well secluded, sounds of religious chanting could be heard emanating from it. “I will stay in Kandahar, because there is work for me here,” 43-year-old Sardar Balwant Singh, a Sikh by religion, told IRIN. Born in the southern province of Oruzgan, he had moved to the former spiritual capital of the Taliban some 20 years ago. Twelve years later he had sent his immediate family back to the Indian city of Amritsar in the Punjab. “I have been to the new Indian embassy in Kabul and have applied for a visa to see my family,” Singh said, having not seen them for several years. “We hope there is peace in Afghanistan now as we too have been victims of the war,” he maintained.